Reflective Feedback gives our students an opportunity to reflect on what they know and a chance for us to revise or modify our instruction. Use these examples as ways to get to know what your students know and what you need to do to support their learning. 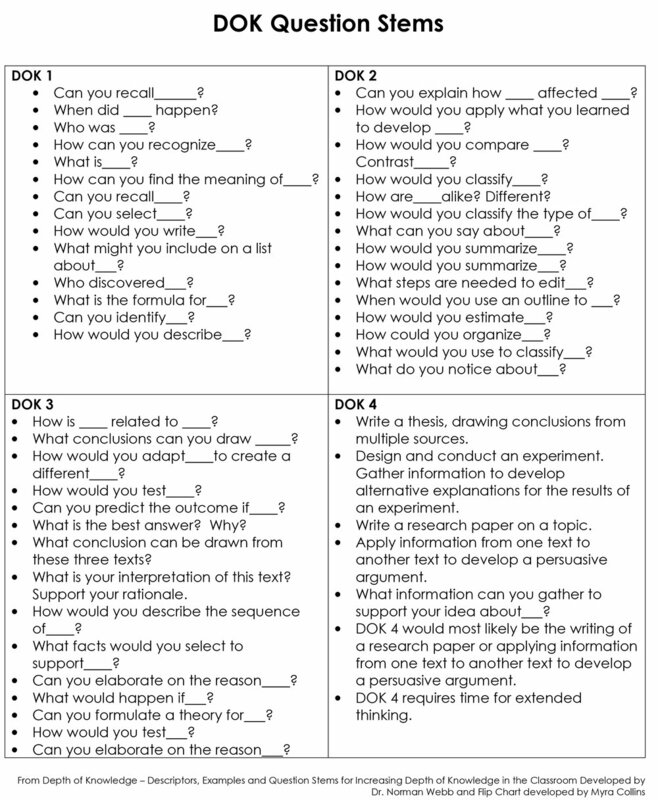 Two-column notes gives students the opportunity to create questions or to apply Main Ideas. In addition, after they have written brief notes, use the Summary space to connect it all together. Consider modifying these notes for your classroom use and for varying student abilities. After students have completed their Annotations (Questions, Comments and Vocabulary), their next step is to locate the Main Idea with Details. It is likely they have already found the Main Idea (usually the topic sentence of a paragraph) because they have (most likely) asked a question or made a comment about it. It is also highly probable that their annotations have asked questions or made comments; therefore becoming the details. Use this chart as a thinking placeholder for their annotations. When focusing on inquiry, our students might have difficulty creating questions. Use this resource as a way to guide them toward basic questioning eventually moving them toward critial thinking skills. Like Bloom's, this resource assists our students in creating questions meant to provoke their thinking and the thinking of those around them. Using annotation to interact with text is crucial to comprehension. Use this PowerPoint slide to show students how simple this can be. 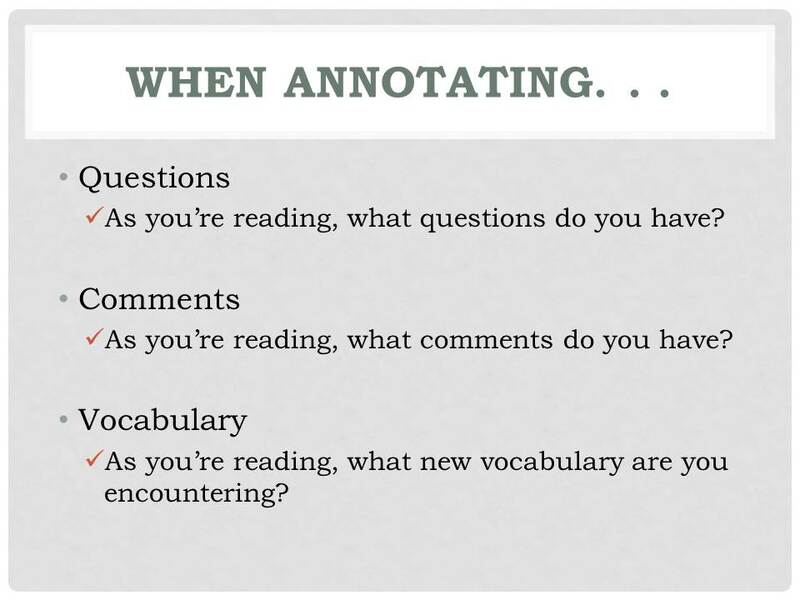 When reading, ask students to write pertinent Questions in the margins, make connected Comments in the margins and circle unknown Vocabulary for further discussion. Let's keep it simple and engaging! Cause-effect can be a difficult skill for many students. I suggest using Cause-Effect backwards. Begin with the Effect…What happened? Then, find out the reason for why it happened, or the Cause.Using Cause-Effect backwards will support students in understanding and applying this challenging skill. A Magnet Summary involves the identification of key terms or concepts - the magnet words - from text. Surrounding the “magnet,” are details about that term or concept. Applying the magnet word and the details creates a summary.